I should have warned you that this post was picture heavy, but I thought you'd enjoy the pictures so hey--why not! The weekend pretty much started on Friday since it was Halloween and I had not one, but two costume changes (first Sally from The Nightmare Before Christmas during the day and then this gem at night). And the Giants just won the World Series so a bunch of people went to the parade in the city. It was a rainy, but nice weekend here in the Bay. I needed to bust out this lovely French bulldog umbrella, which I was more than happy to do since it went with my outfit so well. Now that it's feeling a lot like fall, I kept myself warm with this camel coat, heart scarf and a fun True Religion ensemble. 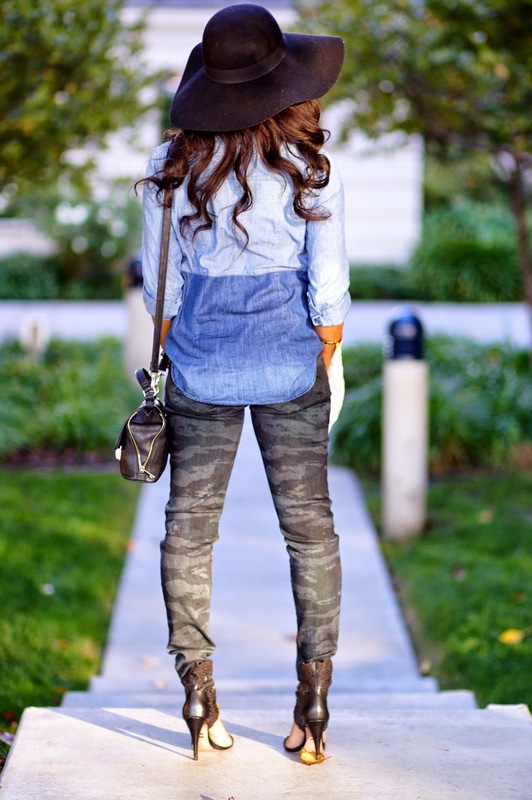 This utility colorblock shirt is such a bold take on denim on denim. You gotta love the two tone look. 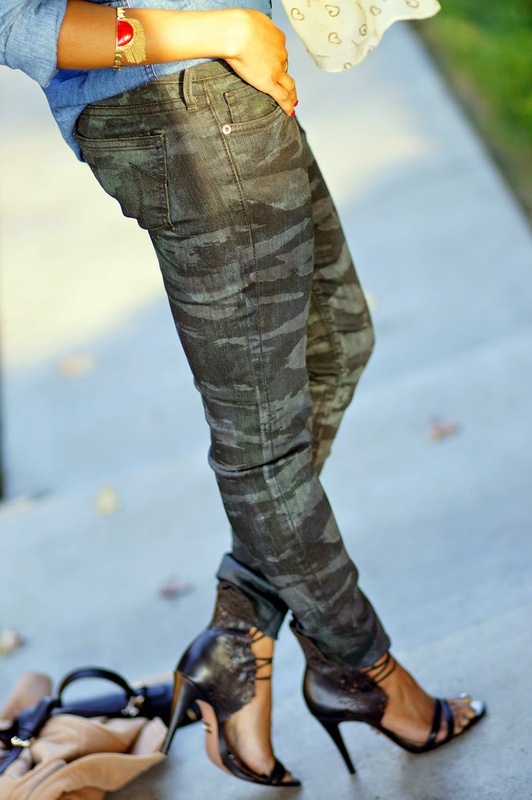 And I'm happy to add these Casey tiger camo jeans to my wardrobe. I'm certain camo has never looked this good. 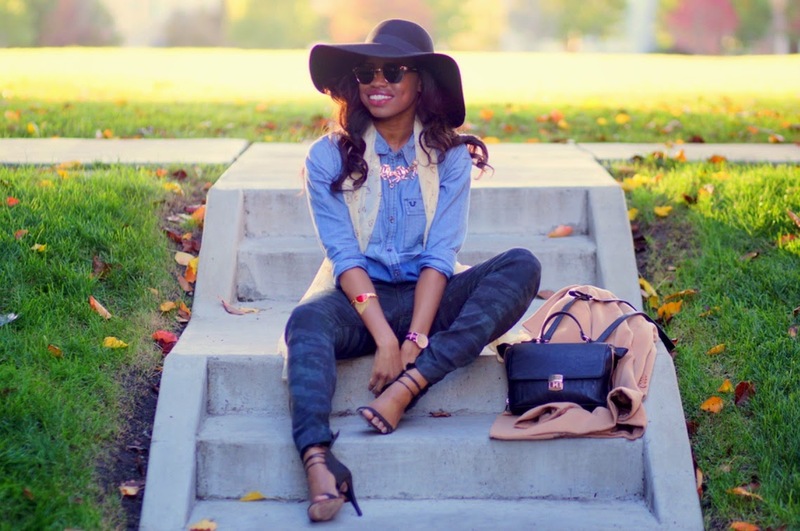 So many different prints and patterns happening in this look and it all works together! Great outfit. 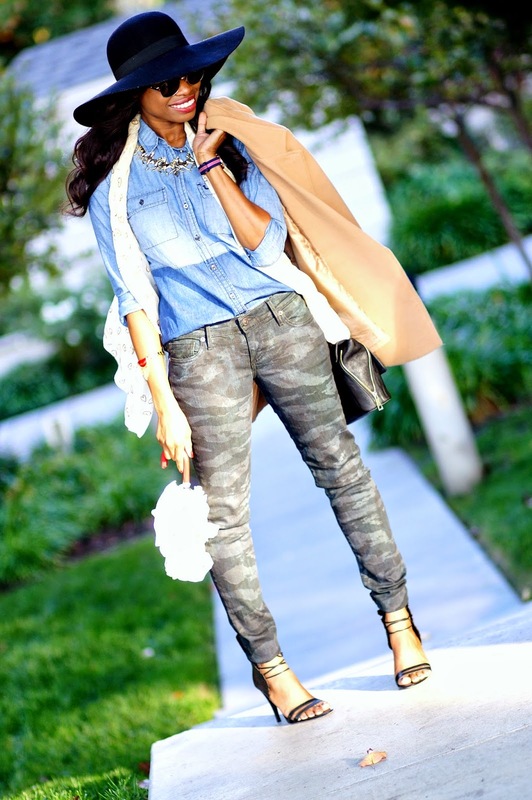 I adore this look, your shoes, hat, jeans, umbrella everything work so well together. Loving the whole vibe of this outfit, Cheryl:) And you can never go wrong with Darth....mwahaha! PS Are we gonna see the Sally costume too? 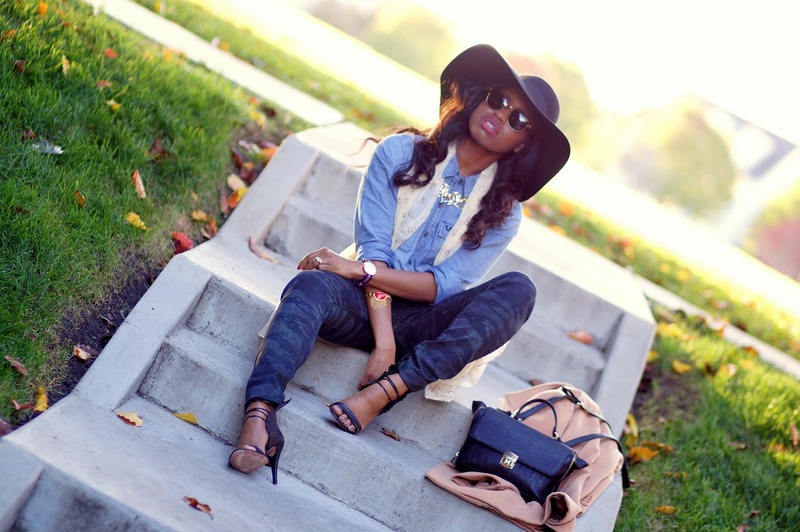 Love the different prints coming together in this look. Pretty picture perfect! You are layered up so nicely and cute hat too; I just love the color. 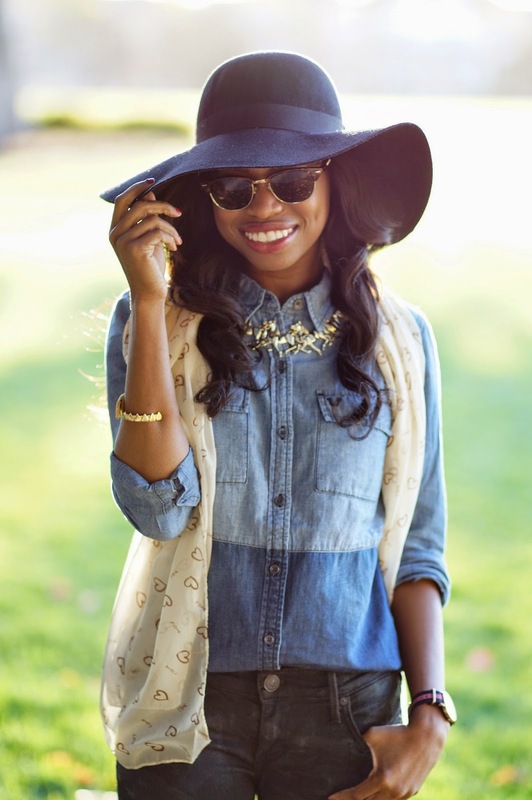 Love the look as always on that floppy hat will never get old for me!! P.S. You can work a hat. I love it! What a busy but fun Friday you had! 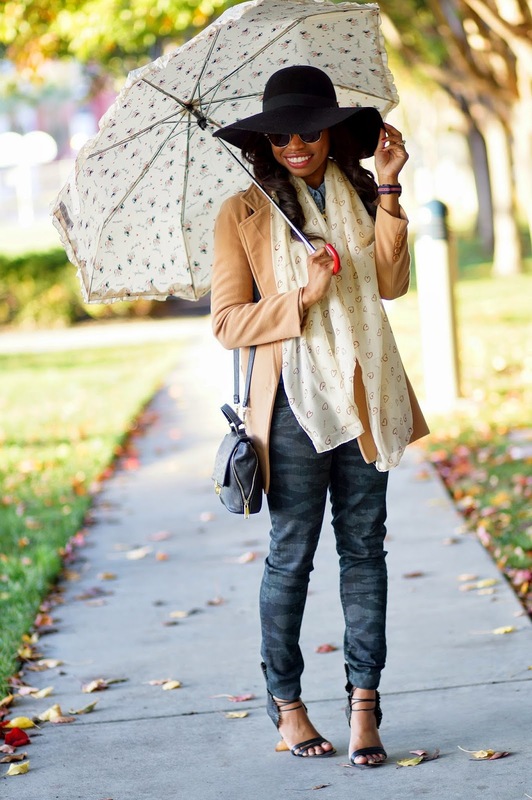 Love your shoes, pants, and that cute umbrella! 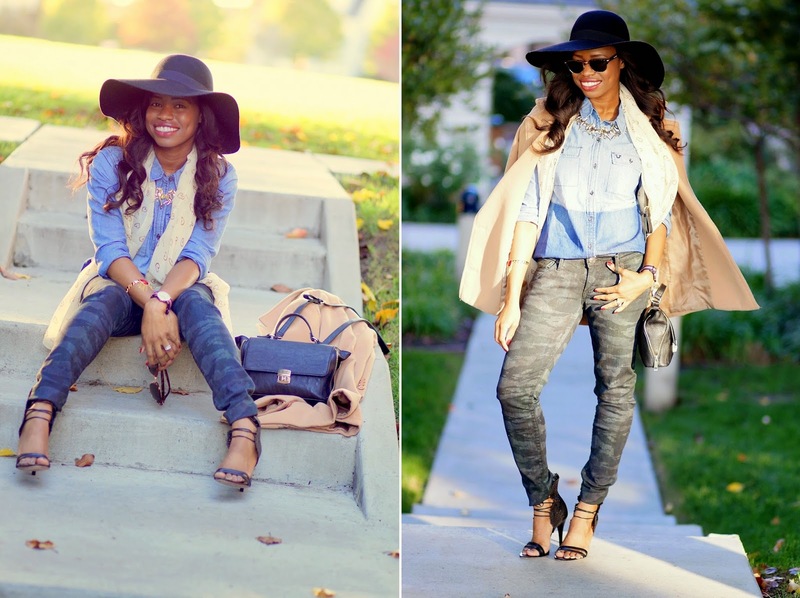 Love your hat and those jeans are fabulous! Don't ever apologize for too many photos, I love them! The pants are great! I LOVE that you were Vader for Halloween. How perfect! I can tell you had a ton of fun shooting this look, based on the number of great shots that you have!! The outfit is a ton of fun and I freakin' love that umbrella! That umbrella is so cute! You are gorgeous. Very cool look! You did not miss a beat. I love the hat, and the pants! Your pics look beautiful. You are absolutely working this look, babe! 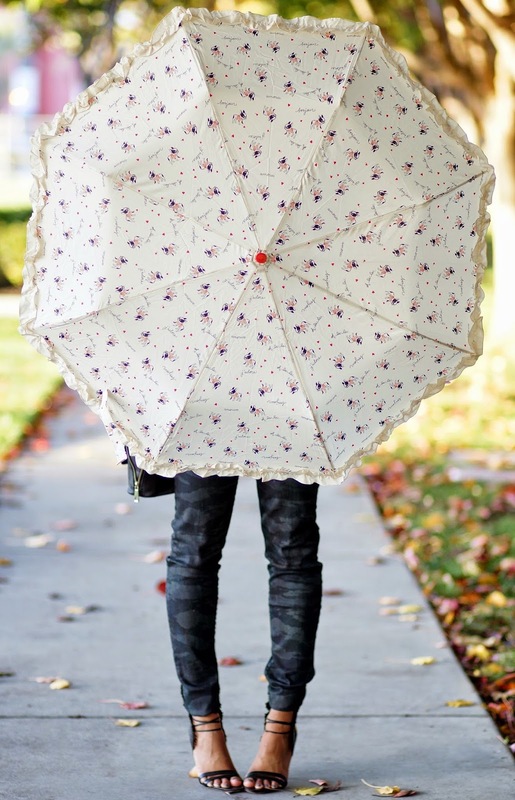 Your umbrella has to be the cutest! So adorable! Love the pants and those shoes are totally killer. The combo of all the elements in this look is awesome. 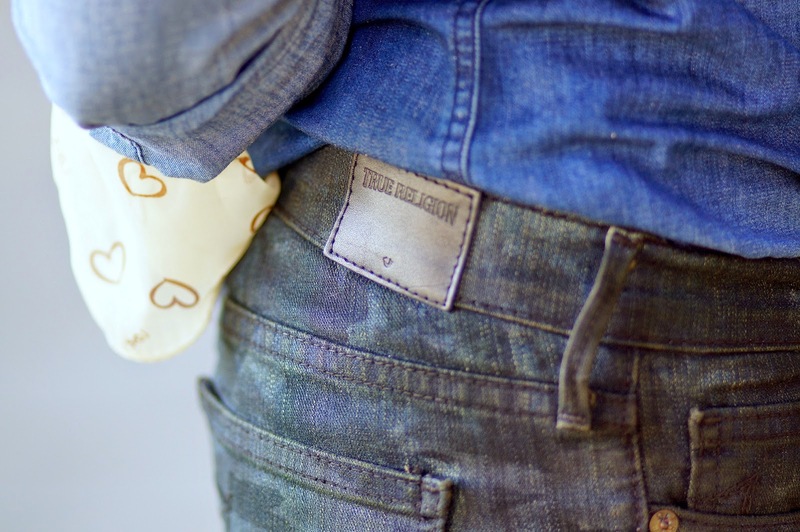 Congrats on the True Religion feature!